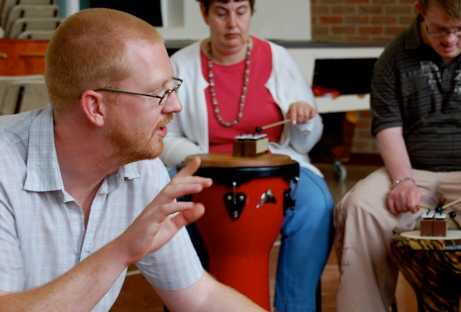 RhythmZone was established in 2007 by Andy Fowler when he was awarded a Community Champions Grant by Unltd. 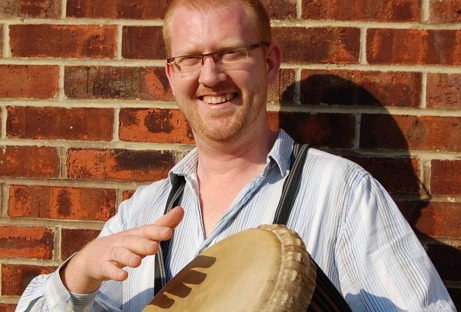 Andy holds a Post Graduate Diploma in Counselling, and certificates from the Therapeutic Drumming Foundation. His people skills, humour and enthusiasm for world percussion have helped to grow a flourishing network of connections with communities in and around Berkshire and Oxfordshire, UK. The aim behind our service is simply to provide accessible and fulfilling group music activities for people from all backgrounds. This motivation brings us into contact with individuals at schools, fetes and festivals, and groups that we might not otherwise encounter; like refugees, brain damage units and special needs day centres. We are now a small team of full time musicians and teachers. Teaching Percussion, our free, practice based e-newsletter helps us to share the knowledge and skills that we have developed, with other teachers around the world.